Following on from our all day Halloween Day Festival, we bring the party back to the city centre. 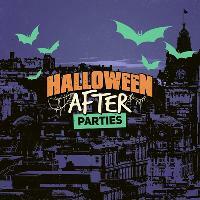 Multiple after parties shall be taking place in Edinburgh City Centre following the all-day Halloween festival with el row at The Royal Highland Centre. TICKETS ON SALE FRIDAY 10AM. Lineups are TBA. They shall be announced after the elrow Halloween Haunted House lineups are announced.